Spread over 90 hectares of land in the heart of the Lagos Free Trade Zone, Lekki Port is situated just 65 kms east of Lagos city. The western boundary of the site lies east of Magbon Segun Village while the eastern margin lies west of Itoke Village. The Atlantic Ocean forms the southern boundary of the site and is bounded on the North by the Old Ibeju-Lekki Road between Eleko and Akodo. 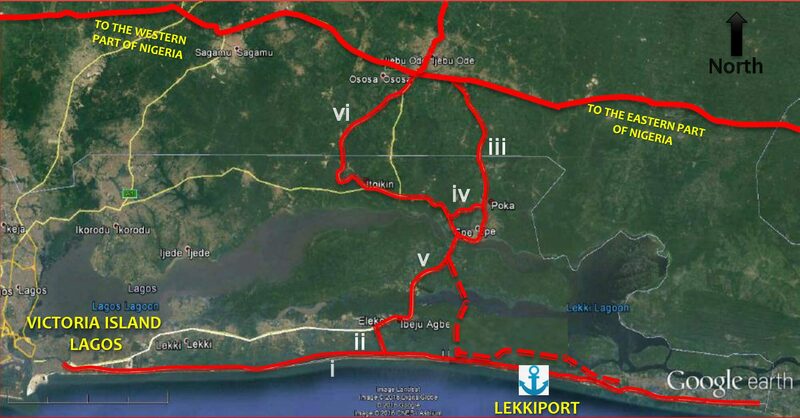 In addition to this existing network, a number of new key road and bridge projects and expansion of existing highways are under development, connecting Lekki Port further into the hinterlands.